A healthy foot should have a slight gap under the arch of the foot when you are standing in an upright position. The tendons that attach your heel and foot bones together form the arch under your foot. When tendons do not work as they should, you may form fallen arches, also known as flat feet. If left untreated, flat feet could cause other issues. You could suffer from chronic back, leg or foot pain, and you may also have difficulty walking or in athletics. What Increases My Risk for Developing Flat Feet? Do Custom Orthotics Really Help Fallen Arches? Orthotics that are custom-fitted to your fallen arches could help dramatically reduce pain, discomfort and even increase your overall stability. If you are an athlete, orthotics will ensure you perform at your best, regardless of your arch positioning. To receive the right level of support, you must first consult a podiatrist in Toronto that specializes in custom orthotics. Your podiatrist will do a thorough exam, cast your feet and have the orthotics crafted at a professional laboratory. 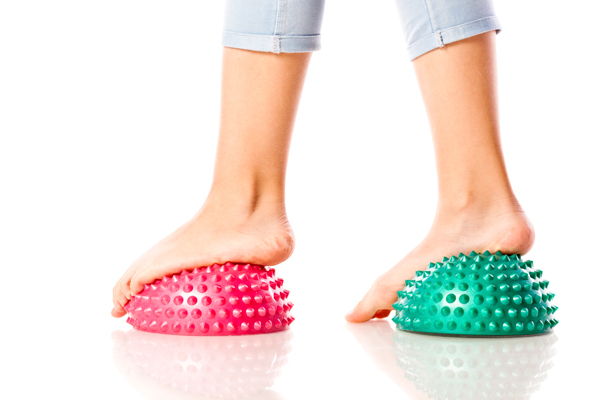 Are you suffering from flat feet? Call the experts at Comfort Stride at 647-989-7794 for help today.